Formerly restricted British Foreign Office files dealing with China, Hong Kong and Taiwan between 1919 and 1980. Featuring diplomatic despatches, letters, newspaper cuttings, political pamphlets, reports of court cases and other materials, this collection represents a constant exchange of information between London and the British embassies and consulates. Due to the unique nature of the relationship between Britain and China, these formerly restricted first-hand accounts provide unprecedented levels of detail into a turbulent period in Chinese history. The documents allow students and researchers intimate access to eye-witness accounts, weekly and monthly summaries, annual reviews, reports and analyses, economic assessments, synopses on Chinese personalities, and more. This is an immensely powerful resource for our understanding of the early Cold War era in China. British diplomats were present in China and able to witness the country’s massive social transformation under Mao. These documents are crucial in helping us to answer many key questions on both domestic and international policy in the early years of the People’s Republic of China. Foreign Office Files for China, 1919-1980 is part of Archives Direct, a cross-searchable multi-product platform, sourced from The National Archives, UK. The anti-imperialist May 4th Movement, which grew out of student demonstrations against the Treaty of Versailles. 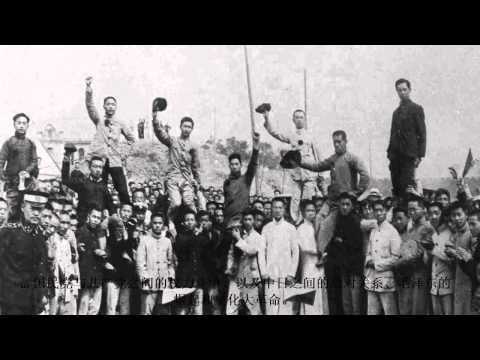 The Long March, beginning in Jiangxi province in October 1934 and continuing to 1937, when the Second Sino-Japanese War forced a temporary cessation of hostilities between the CCP and KMT. General Joseph Stilwell’s mission to coordinate US aid to the KMT after December 1941. Accounts of the civil war years, the fall of Nanjing, the fate of HMS Amethyst on the Yangtze River and the repercussions for international companies with a strong presence in China, through to Mao Zedong’s first attempts to implement a Soviet-style command economy. Many files focus on industrial and economic development, the Great Leap Forward campaign and the Socialist Education Movement. The Great Proletarian Cultural Revolution, 1966-1976.